VILSECK, Germany — Symptoms associated with a brain injury are nothing to shrug off, according to medical experts with the Bavaria Health Command. 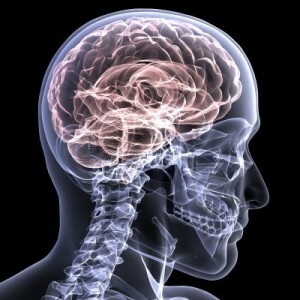 Each year, approximately 1.7 million people sustain a traumatic brain injury. Classifications of Traumatic Brain Injury are mild, moderate and severe. The majority of traumatic brain injuries are mild, commonly known as a concussion, Lucania said. Not every person who sustains a head injury might be aware of the injury, but symptoms can emerge days, weeks or months later. Using the acronym “H.E.A.D.S.” helps identify the symptoms of a concussion. H.E.A.D.S. stands for headaches or vomiting, ringing in the ears, Amnesia or alteration of consciousness, dizziness or double vision and just feeling something is not right. Fatigue, irritability, problems with sleeping and concentration are other symptoms associated with a concussion, Lucania said. Symptoms can also compile to make coping with a head injury more difficult. Sleep disturbance could lead to irritability, which could lead to difficulties concentrating. Symptoms of a concussion usually begin to subside in a few hours or days. Ninety percent of people who sustain a concussion recover in about 90 days, but some people may require longer treatment; however, the good news is the prognosis is positive, Lucania said. People who sustain a concussion should see their doctor and reduce their mental and physical exertion to allow the brain time to heal. Avoiding stimulates like smoking, alcohol and caffeine are also recommended, he said. “We don’t want people to be inactive all day; just wind down and their doctor will let them know when to start gradual activities,” Lucania said. He also recommends staying away from contact sports and other activities that could jolt or hit the head, which can result in another concussion, thereby making recovery more difficult. While the Mild Traumatic Brain Injury program in clinics throughout Bavaria focus on diagnosis and recovery of brain injuries, prevention is the best solution. March is Brain Injury Awareness Month. For more information, visit your local clinic.